Based in Moncton, Murphy Collette Murphy is comprised of six experienced litigation lawyers committed to providing the best results and representation you’re looking for to settle your case. This reputable law firm is accustomed to meeting deadlines and handling emergency situations, including on evenings and weekends. Murphy Collette Murphy was launched in 1991 with one goal in mind: to provide its clients with cost-effective yet progressive litigation services. 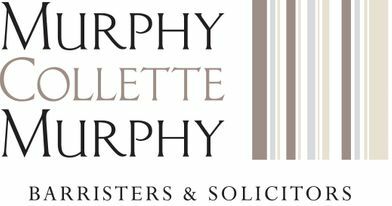 Whether you’re a teenager that uses a wheelchair following a personal injury accident, a single parent that’s off work for medical reasons, an out-of-province homebuyer or an insurer in need of legal representation on behalf of your clients, you can count on Murphy Collette Murphy for the best possible outcome. Thanks to its cutting-edge technology, including the latest in legal software, Murphy Collette Murphy is committed to keeping you informed every step of the way and to providing you with the litigation tools you need. Accidents, disputes, mediation: we serve your interests. We like to give back to our community.